Transforming a brand into a consumer favorite takes skill, ingenuity and unswerving dedication. Blitz brings those traits and more to a host of major national and international brands as well as innovative initiatives. The digital agency manages the entire digital marketing process, including strategy, creative design, content production, web and mobile interfacing, social networking, search optimization and media placement. 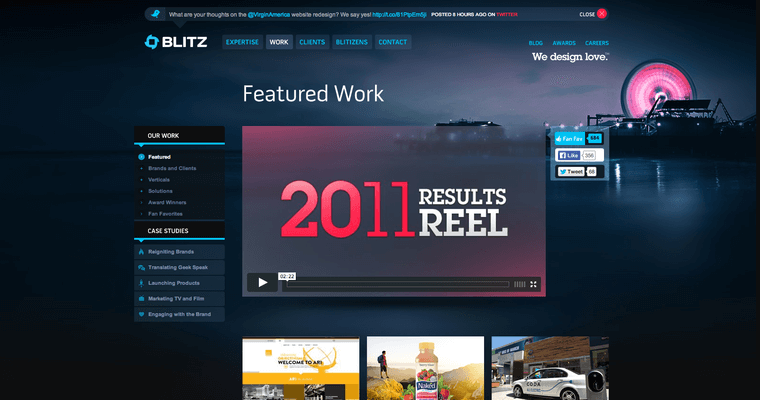 Blitz's client roster reads like a list of Fortune 500 companies, with Honda, Adobe, Fandango, Live Nation, Mattel, Disney, Nike and Toyota among its ranks. In the consumer electronics and gaming industries, Blitz has worked its magic with brands such as Vizio, XBox, Asus, Pioneer, Epson, Playstation MLB: The Show and Halo: Waypoint/Gears of War. The agency also offers expertise in the sports and fitness apparel, entertainment, media and consumer packaged goods industries, serving clients like TaylorMade, Dole and Warner Bros.' Lego Dimensions. 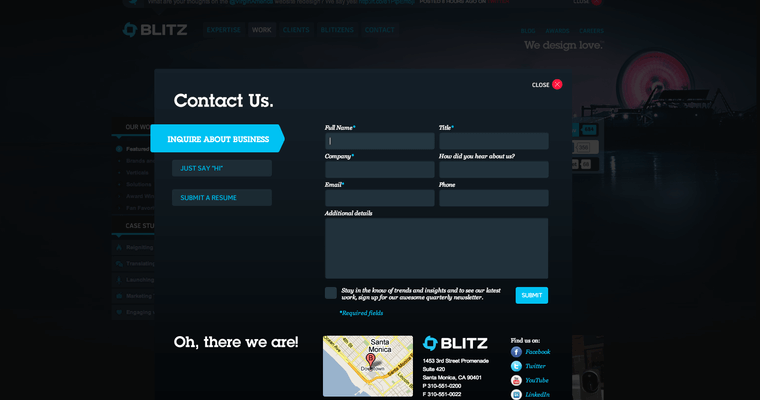 Blitz is based in Los Angeles.